The explanation of the term knowledge very often involves using the term information. Loosely stated, knowledge is information in support of or in conflict with a certain hypothesis, or it serves to resolve a problem or answer a specific question. Specific knowledge that results from information processing may be either expected or it may be new and surprising. The initially gathered information is often fragmented and unstructured, and in that form it is not suitable for further exchange and processing across different systems. Moreover, one does not usually have an a priori understanding of what the atoms of knowledge are, how they are connected, and how one can retrieve or deduce new knowledge from them. 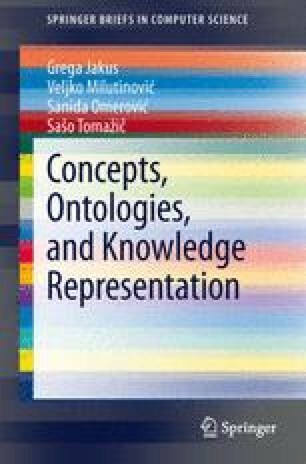 In order to answer some of these important questions, the next section begins by examining different definitions of knowledge, followed by a discussion of knowledge organization, and concluding with practical applications of knowledge representations.